Residents of Broome in Western Australia are becoming frustrated with their inability to access solar power in one of WA’s sunniest towns, according to the ABC. Broome Solar power is becoming a real problem for residents who want to invest in the renewables boom but aren’t able to due to WA’s massive landscape and tiny population density. As the state-owned energy utility Horizon Power own the grid in Broome, they have put restrictions on the residents so that only 10% of the town’s power is allowed to be generated from solar. This is to protect the grid from being compromised when the sun doesn’t come out. Horizon Power are responsible for generating, procuring, distributing and retailing the electricity and they are dealing with dozens of microgrids so it can be difficult to manage energy. According to the ABC, Horizon Power are currently trialling battery storage systems in Carnarvon and Onslow to help mitigate the problem – with Horizon spokesman Frank Tudor quoted as saying “Broome will be part of the trials that we are looking at across all of our different systems, if that proves worthwhile then we will gradually roll it out”. Horizon Power were established in 2006 during reforms to Western Australia’s solar electricity sector and service apprximately 2.3 million squre kilometres. They are responsible for 47,000 connections and supply more than 100,000 residents and 10,000 businesses in regional towns and remote communities across Western Australia. Given the unique challenges of servicing such a huge area with such a low amount of customers (they have one customer for every 53.5 km2, the lowest in the world, it is understandable that Horizon Power needs to come out with some novel solutions to provide stable electricity to their constituents. 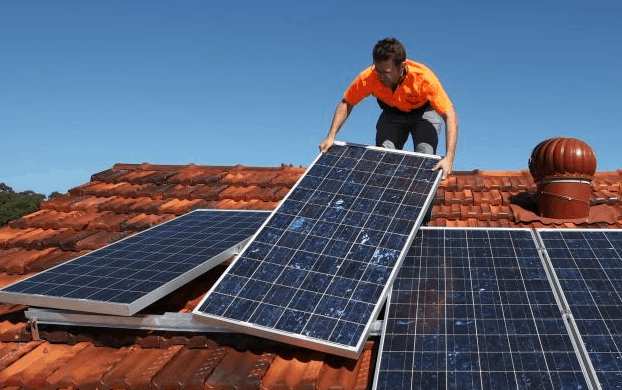 Their decentralised delivery model is both a blessing and a curse in this situation – they’re able to work quickly to local issues but residents in towns like Broome are left with this situation where the microgrids (Horizon have 32 microgrids across the state) are too small to withstand any sort of major swing in renewable production.